Last week ended with a design-award ceremony. Not for designers or designed products. There was a ranking of institutions teaching design in India, and the representatives were awarded and felicitated by MediaDesignEdu.com. The people behind the awards and the jury that selected them are not known. The site itself is a website that clearly promotes private design institutions. This is not to mock the awards. Any serious attempt to give a ranking to institutions should be welcomed, in the interests of students aspiring to get there. But if the criteria is not clear and 9 institutes, all big names, (of which seven are in the private sector), share five of the top awards, it seems like an amateur attempt at ranking. Even by its own admission, the website had 84 award categories, which were won and shared by 50 institutes. Some institutes won multiple awards, since there are only limited number of schools teaching design. Even a cursory scrutiny will reveal unexplained anomalies. 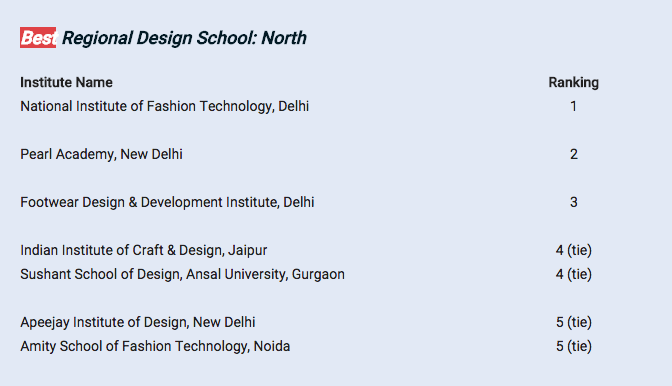 While Pearl Academy, Delhi gets the national ranking of 2 and NIFT, Delhi is in 4th position, their ranks change in the Northern region awards. 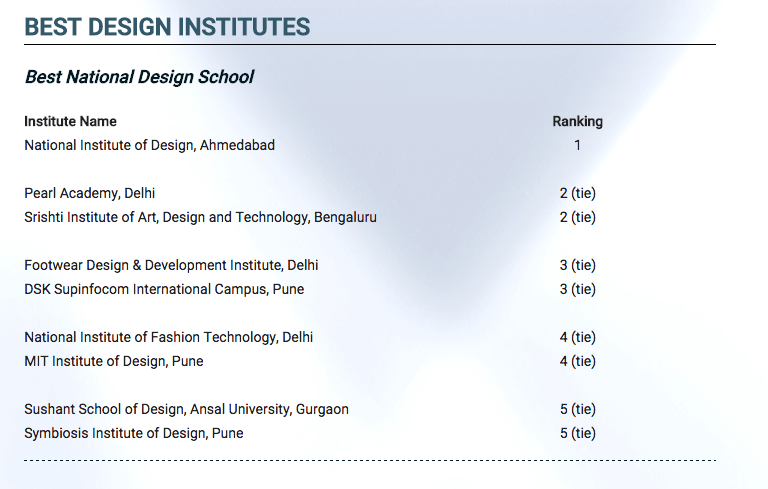 NIFT Delhi gets 1st position and Pearl is pushed to the 2nd position! The omissions of some popular and reknown institutes are glaring. 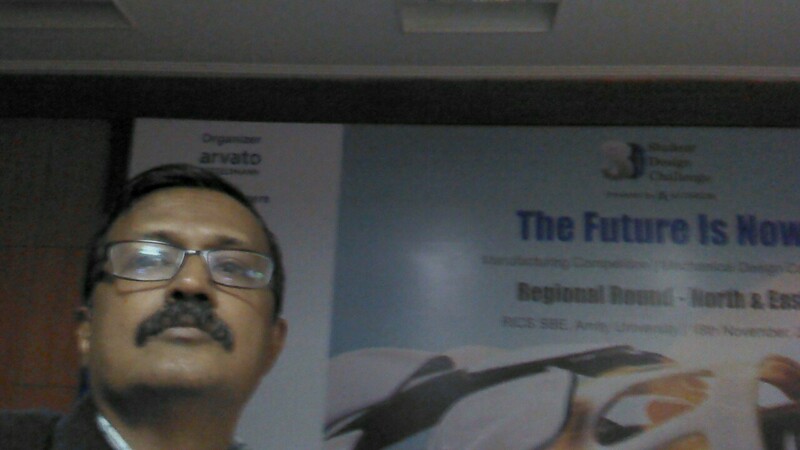 IDC at IIT Bombay and IIT-Delhi’s and SPA’s Industrial Design Programme are not present in any category . 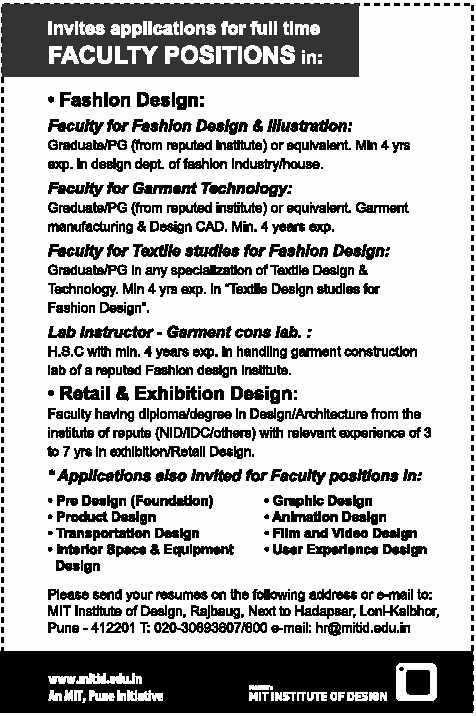 IICD, Jaipur, a reputed craft design institute, IIT Guwahati, IIT Kanpur are also notable omissions. Some awards are questionable.NID’s robust Product design programme is apparently not worth considering over DSK and other private colleges. There is no doubt, there is a need for such a ranking but the methodology should be made public and the criteria announced in advance. The evaluating jury should be announced, too. This was one of the jobs of the India Design Council and I am not sure why it is dragging it’s feet to do an evaluation and ranking. This is the admission season, when I get calls from harassed parents and aspirants about how to choose one school over another. Is Srishti good for Product design? Is DSK worth the expenses? Is MIT better than Symbiosis? A transparent ranking is sure to help. It puts them in their place. How reputed is the institute? How successful are their alumni? Does the institute have respect within the design community? Are their programmes current and relevant? Do they have good faculty? What facilities are present and how updated are these? How well-connected are they with the industry and other organisations? Are fancy buildings and labs tom-tommed, instead of decent faculty and programmes? Do they have a placement programme? Ask, ascertain, inquire, request, search, research, seek out, google, do everything in your capacity to find out. This way, you may or may not win any awards, but you will certainly be rewarded with an excellent career in design. I was invited this week, by a private university in Gurgaon, to address their Engineering faculty and students on the subject of ‘Design & Innovation’. Another opportunity I quickly utilised, to spread the message of design. India’s design-aware population is really small. Considering the fact that a few hundred designers graduate and set out into the profession, to cater to a billion-plus population, you get an idea about how difficult it is to make inroads and make a difference by design. Early on in my career, I understood the need for creating design awareness amongst potential industries which I thought can be converted to buy design services. Whenever and wherever, an opportunity presented itself, I utilsed it to educate potential clients. NID, my alma mater, had taken this role of design evangelism, quite seriously. 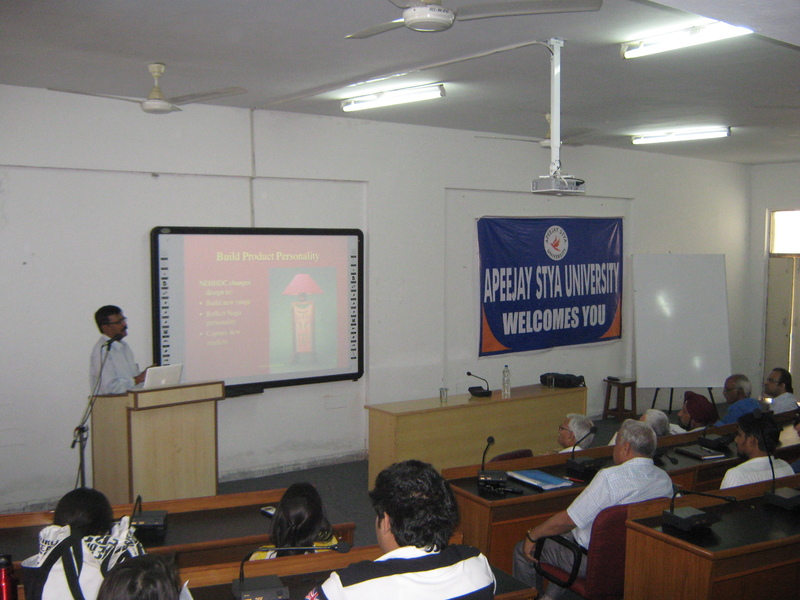 The senior faculty were educating people on design inside the campus and outside. I caught the bug, too and has been one of the foot soldiers that contributed to this movement. This habit has helped me personally and professionally. It helped me in my role as a design educator. It also helped in creating a huge, design-aware, constituency. While this constituency is growing, a lot of evangelism is visible and effective in India, today. In new formats as well. 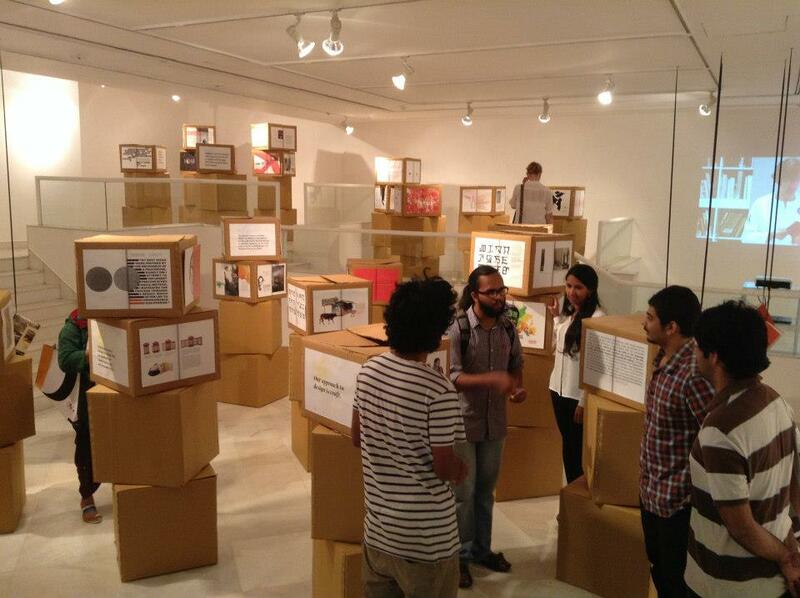 A book on design was recently launched in Delhi’s Max Muelller Bhavan, called : DEKHO. 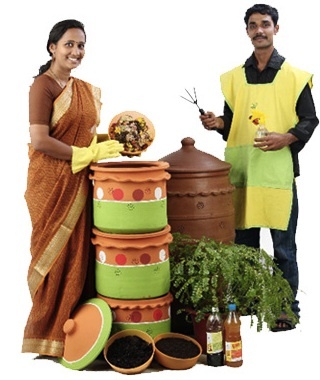 It presented work done by a few professional designers in India. What is delightful is that this is a private initiative by a design company, CODESIGN that decided to spread the good word on design. The design firm is quite involved about its role as a design evangelist. Besides the book, they also organise a quaint design event called the UNBOX festival, that is fast gaining international attention. Rajesh & Mohor Dahiya, the designers who run CODESIGN, are graduates of NID and are quite fired up about the cause of design. If festivals are the way to promote the cause of design then, the private initiative of Transasia Papers’ Rajesh Kejriwal deserves mention for their annual design festival : Kyoorius Design Yatra. Held every year in picturesque Goa, in India, this festival brings the Indian and international speakers to an eager audience and sells the idea of good graphic design to design firms and design users. It is also hugely popular with the student designers. Another altruistic effort in showcasing Indian design to a global audience is Ruchita Madhok’s blog : Perch. Along with Aditya Palsule, they have created a blog that not only feature design events and projects, they also critique Indian design, the way no one ever does. The blog has managed to catch the attention of the design community, in India and abroad. But in the forefront of blogging on design is M P Ranjan. A design thinker and a much-respected designer by his peers and students the world over, his blog not only documents design events in India, it is almost always the first stop for a global audience that is keen to understand the Indian design story. He takes his role of a design educator so seriously, that he does not miss any opportunity to educate. Ranjan’s writings manages to inspire designers of all hues and promotes the message of Indian design to all cocerned. THis post will not be complete without mentioning Sudhir Sharma. 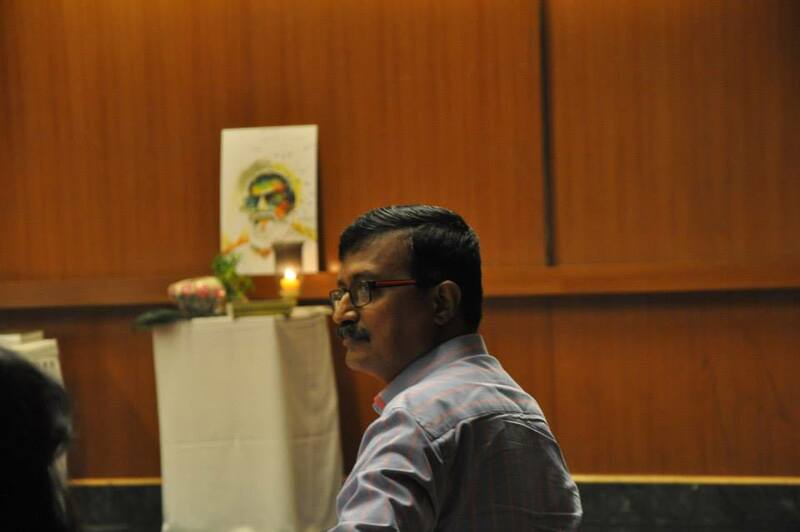 He is one person who has managed to promote the cause of Indian design, almost single-handedly. Sudhir Sharma is an alumnus of NID who has grabbed every opportunity to promote design in national and international forums. 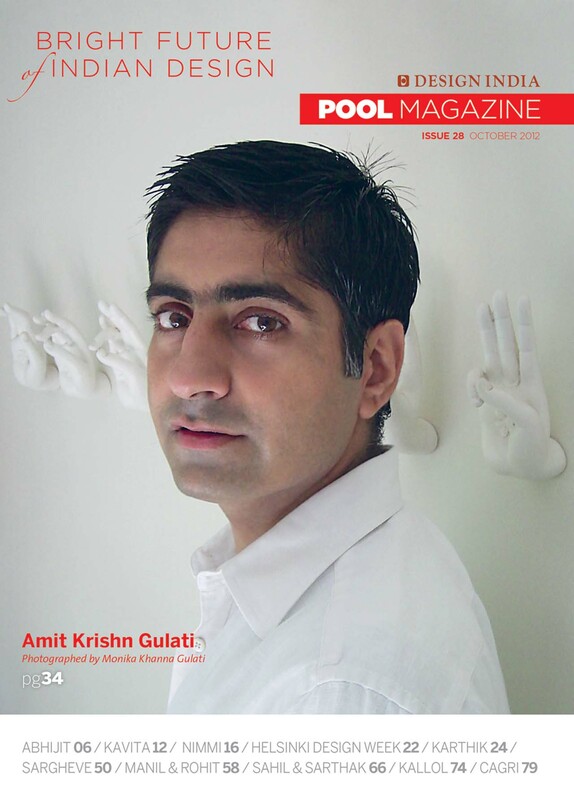 He also set up POOL magazine that celebrates Indian design in all its myriad forms. The magazine is fast becoming the repertoire for Indian design efforts. These are people I am aware of. There must be many more who do their bit of evangelisation. Speaking to school students, speaking to industry associations, addressing special interest groups and influencing them. There is also an urgent need for more designers to join this movement. When there is a constituency that is aware about design, the whole society benefits from the merits of good design. I was reviewing a piece I had written for POOL magazine a couple of years ago. It’s amazing that it still makes sense. Anyone who has taken road trips with children are familiar with the query, “ Are we there, yet?” It comes from children who are excited, eager and impatient at the prospect of reaching someplace. Design industry in India is in a similar predicament. We are constantly soul-searching, checking with each other to see if Design in India has arrived. We know that we are definitely headed there but can’t seem to wait to get there. Design in India is a very old activity but a very young profession. Like all young people, the profession is also impatient: we just can’t seem to wait to grow. And like all things young, the profession has several faces. There is the face of professional industrial designer, competing with global designers in increasingly global markets in making better cars and phones. There is the face of the graphic designer creating Brand India. And the social entrepreneur putting his design skills to create lasting value in society and the environment. There is the craft designer who is re-interpreting traditional crafts to suit international markets. There is this software and UI designer who is piggybacking the IT revolution. There are also designers becoming brands that are slowly making progress in marketing their names on products and services. Emerging in the horizon is the thinker-designer who is seen to be increasingly applying the process for bettering hospital administration and making drinking water, safe. Collectively this plurality of faces in the profession is something that is unique to us in India. This is the result of the design education in India that is inherently generic. 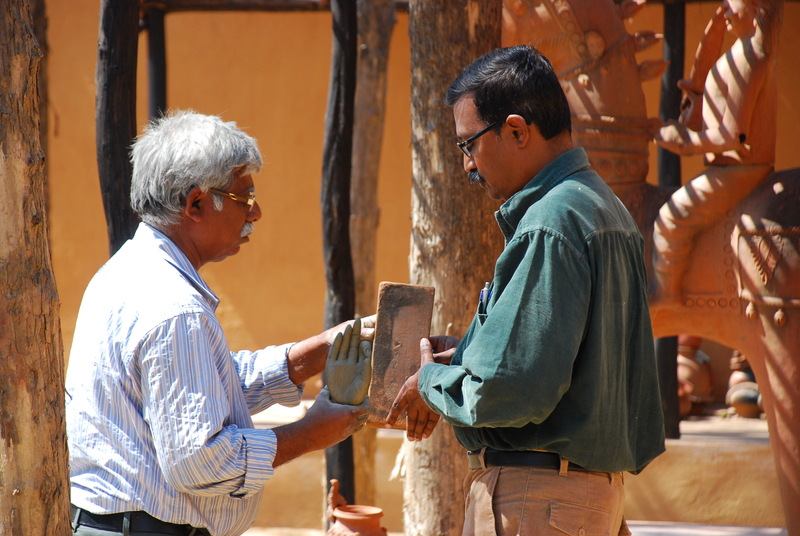 Design education in India began with the National Institute of Design (NID, Ahmedabad) in1961. 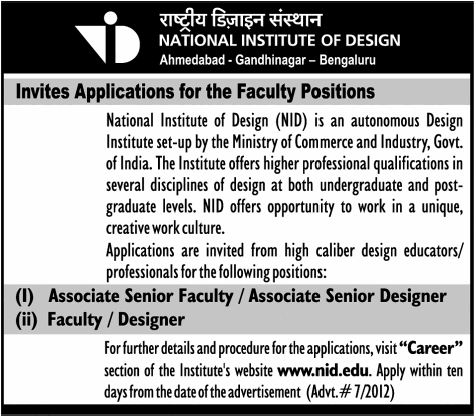 Fifty years on, NID has progressed from creating the most number of designers to most number of institution-builders. Several early graduates have gone on to head different design schools and design-led institutions. 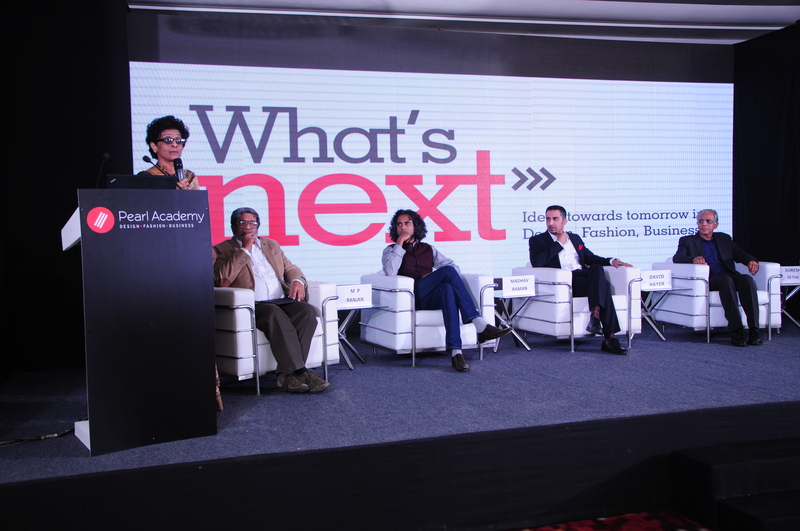 Major institutes like the IDC at IIT Powai, Institute of Crafts & Design, Jaipur, the Accessory Design programmes at NIFT, BCDI- Agartala and a lot of private initiatives in design education like Amity, IILM, etc., have all been led by NID graduates. So, what next? Are we there, yet? As a design collective much needs to be done. We need to build a design-conscious constituency in this country that will demand good design. We need to raise the collective consciousness by educating everyone about the benefits of design. Design education itself needs to go through a major churning with the emphasis shifting from being a form-giving activity to a more in-depth, analytical process-driven exercise. There is an urgent need to revisit the design curriculum. Design thinking needs to be emphasized beyond the formative years of study. We need to bring back the broad-based, inter-disciplinary approach and give a huge impetus to design research. We also need several new design institutions. A new crop of design educators need to be developed. We need to find patrons beyond the Government of India to shell out for design research. Which reminds me: The Government. One needs to form focus groups that will only concentrate on educating the powers-that-be to use design. Opportunities like the Commonwealth Games are being withered away as the government is still indifferent to design. If the Government decides to use design services and pay for them, there would be no dearth of projects for generations of designers. We would also have bus stops, better berths in trains, and better health-care services for people. A recent convert in the government is the Ministry of Micro, Small and Medium-scale enterprises. An announcement on subsidising design projects made by the Ministry of MSME may just be a game-changer. The scheme subsidises a major portion of expenses incurred on design exercises and hopefully, there will be a groundswell of design assignments that can bring in the change that is much required for this sector. Such schemes will have to be ably supported by professional designers who need to formalise alliances that will work towards our cause. Designindia is probably the only forum that has successfully brought together designers of all hues under one umbrella. It has the mandate. It now needs to transition to becoming the legitimate voice of design in India. The India Design Council that has the mandate to steer the profession has also been constituted which should bring about the much-needed facilitation. To become a force, we must also get the business on our side. How many businesses call design consultancies when they have a business idea? Most industries call on designers only to firefight in the market, instead of partnering with them in co-creating products and brands. Industry associations should be persuaded to sponsor research and education, to support innovation and to emerge as a catalyst that will drives the change. In Design, we are getting there. We all need to work together to get there: Industry, Government, Education, Professional Associations and the people. And work towards the common good of design. We are getting there in design. And hopefully, it’s not far, far away.